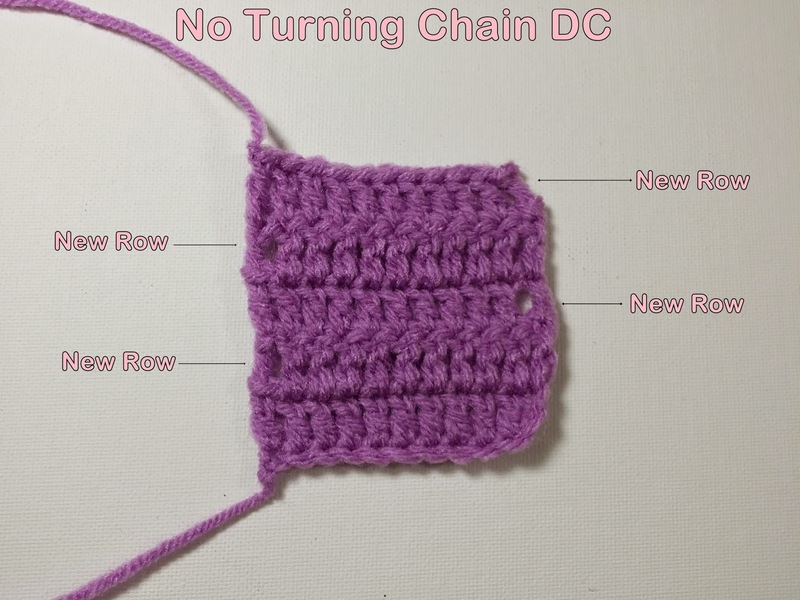 In my many searches of the internet, I have come across posts and videos showing you how to start a new row of double crochet without using a turning chain. Just recently, I thought I might switch to this method. So, I watched some videos and set about trying the technique for myself. What was the result?? Well, to be honest............... I don't like it. I'm sure this little trick works for many people with great success. But, I just couldn't get it to look good. And, it really slowed me down because I wasn't used to it. 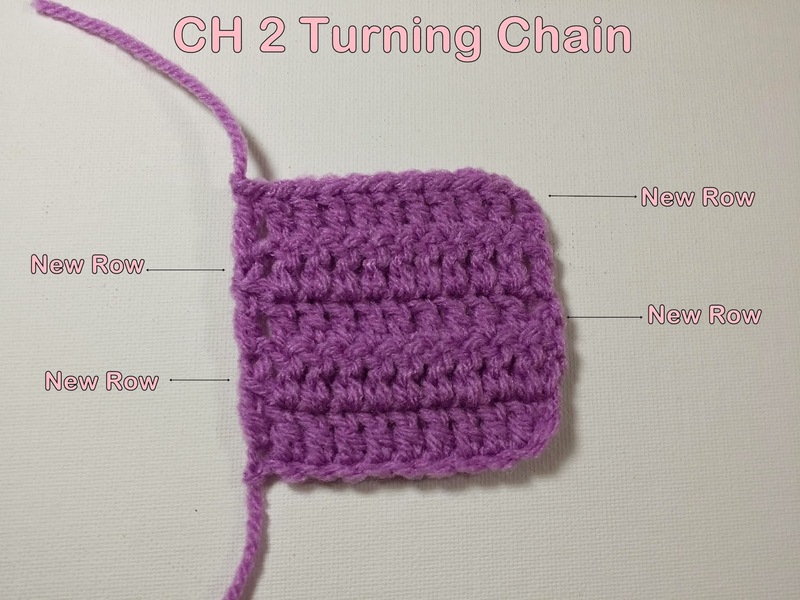 When I double crochet, I always start a new row with a "CH 2". I know that some patterns instruct you to "CH 3" when beginning a new row. I never do.............. When using a chain 3, it will definitely leave a gap at the beginning of the row and it is just not necessary. As you can see, all three examples have some gaps. I have seen some work with a no turning chain that does not have gaps. Maybe practice makes perfect. I just much prefer to keep using a Chain 2 to begin each row. 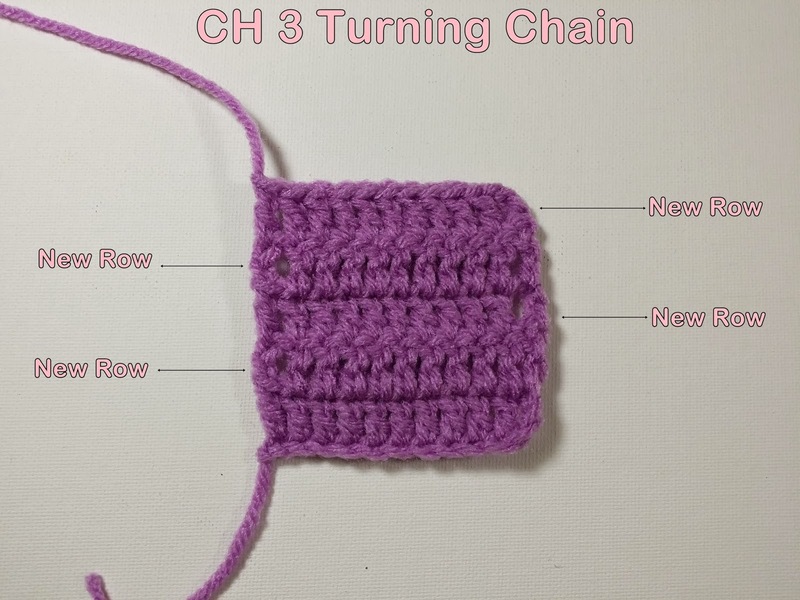 If you would like to learn how to start new rows of double crochet without the turning chain, check out this video, courtesy of Sandra Roarty on YouTube. She gives very easy to follow instructions. Above all, keep calm and keep hooking! Crochet is supposed to be a relaxing and rewarding hobby. Don't stress yourself out about it! Poochie Baby has many patterns available for free and for sale at Ravelry, Craftsy and in the Etsy Shop. There are also versions available in the Kindle store if you prefer to use your ebook reader.